How would you define "Industry 4.0"? Recknagel: The concept of Industry 4.0 is actually rather controversial in the manufacturing industry because there is no clear, commonly accepted definition. Lots of people are using "Industry 4.0" as a buzzword to sell their products, without really understanding what it means. This is a pity because we as an industry need to discuss this idea deeply to understand both its possibilities and its challenges. When you dig further into Industry 4.0, you'll encounter many definitions, but some common denominators emerge -- and they're quite exciting because they hold great potential. Industry 4.0 brings together the silos of today's corporate environment. It's really a new way to approach corporate integration, focusing on both horizontal and vertical integration. Industry 4.0 is not a wonder pill that makes everything possible, there is no “solve all” button that makes us successful, but it draws a new pathway to increase efficiency in companies and that allows business to get faster and more flexible to fulfill changing market demands and closer cycles from the creation of raw materials to demanding end customers. How has the concept of Industry 4.0 impacted the manufacturing industry already? 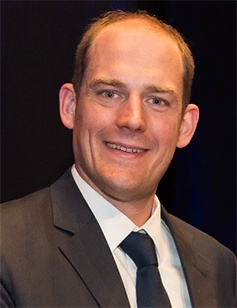 Recknagel: In high-cost countries, the manufacturing industry must embrace Industry 4.0, as it is the only way to cope with the changing demands of customers for individualized products, more complex distribution channels and a high pressure on production cost. Therefore manufacturing enterprises need to implement intelligent concepts to reduce manual work, reduce level of stock along the supply chain by still keeping up a high level of output and a high ATP rate. Q: Is the industry making meaningful progress toward achieving Industry 4.0? Recknagel: There is constant activity in this industry, and about a dozen times a day I hear about a new Industry 4.0 topic. But I also see very often that customers are left alone in answering the questions of what the concrete approaches could be for them. The current discussions are much too often driven by feasibility studies and technology: sensors, the Internet of Things (IoT), devices, retrofit…. these are certainly needed to generate integrated scenarios but are just tools to be integrated in an overall picture. With flexis solutions this overall picture can be designed from a system side. Once you've conceived the system, then you can choose the tools to fit that system. Q: What challenges are presented by the evolution toward Industry 4.0? How can companies overcome those challenges? Recknagel: Industry 4.0 is not just a technology issue. It is also about processes and people. Technology can overcome functional silos to generate value for companies, but also that "silo thinking" needs to change. People need to understand that everyone takes his part in the overall success and this can just be achieved by cooperation. To overcome these issues, lean transformation concepts need to be adopted not only in supply chain management, but also in the company's non-production environments. Another important success factor within the horizontal integration of companies is, that they need to understand, that classic understandings of supplier and producer structures will not survive. Value networks need to be established based on a new definition of partnership. Suppliers need to be integrated in corporate structures. Their needs in data support and production design, as well as supply chain risks, need to be managed in a proper way. Purchasing decisions will change from product price-driven models to partnership models that take into account risk figures and optimization potential for the future of product development. Successful organizations of the future, especially in the manufacturing business, master these challenges by being open to a change of corporate culture and obsolete process models. Q: How do you and the flexis team approach these challenges? Recknagel: The strength of flexis in that area is that we offer solutions in both relevant dimensions of corporate integration scenarios. In the horizontal integration of companies, flexis supports the orchestration of all parties within complex value chains. 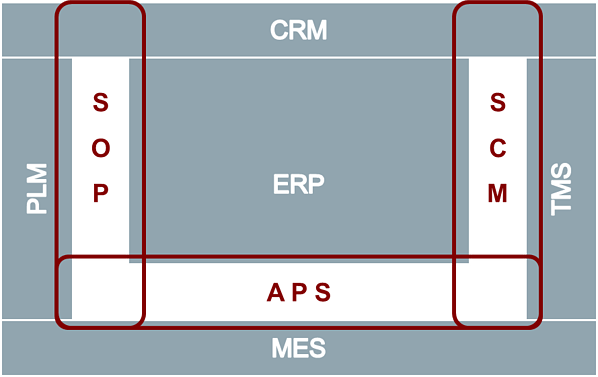 Today's ERP systems do not address the planning and organization of complex value networks. Currently just 4% of all producing organizations claim to have a connected supply chain. Successful producing organizations are able to plan their production process from the customer order backwards, through all stages of their value chain -- while at the same time decreasing their lot sizes. flexis already strongly supports the automotive industry in these approaches. Now we're adopting these concepts for the manufacturing industry, where the potential of these initiatives are even higher. The ideal Industry 4.0 approach includes both vertical and horizontal integration. The second dimension in successful Industry 4.0 initiatives is vertical integration. Traditional companies are structured in hierarchies that do not allow interaction between layers. This often leads to high efforts in synchronization processes and even more to large gaps between corporate planning processes and execution. Sales planning typically is not synchronized with production capabilities; production plans are not synchronized with logistics; and purchasing departments often encounter gaps in material supply and must put in much effort to close these gaps. Production planners perform detailed planning tasks that often drastically differ from real outcomes because there is no structured back-loop of execution information and no real-time re-planning process in case of deviations. flexis provides environments to synchronize these layers, even including IoT devices for operational feedbacks. flexis allows Drill ups and downs from a part level through execution, planning up to consequences on market supply. Q: What is the most important step for manufacturing companies that want to stay competitive in the era of Industry 4.0? Our approach in the manufacturing industry is, to first talk about lean process setups and best-practice approaches that are already operationalized and can be easily adopted as pragmatic first steps. In the second step, we generate a roadmap to include Industry 4.0 concepts in that process model. This approach guides companies well since it allows pragmatic project setups and hands-on approaches to grow. In the end, it is a safe way to achieve Industry 4.0 excellence.